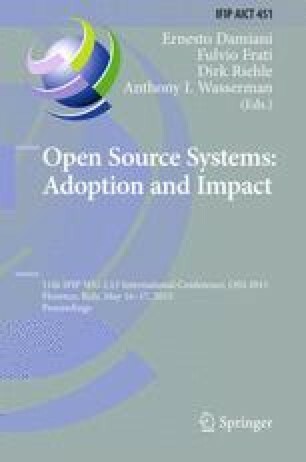 Open source software ecosystem modelling has emerged as an important research area in software engineering. Several models have been proposed to identify and analyse the complex relationships in OSS-ecosystems. However, there is a lack of formal models, methodologies, tool support, and standard notations for OSS-ecosystems. In this paper we propose a general framework for support the OSS-ecosystems modelling process. This framework will allow the representation, synthesis, analysis, evaluation, and evolution of OSS-ecosystems. Design science methodology is proposed to create several artefacts and investigating the suitability of these artefacts in the OSS-ecosystem context.